This page welcomes customers and students to David's Guitar Loft. David's Guitar Loft is a full service music retail store, repair shop and lesson studio. Locally owned by musicians, David's Guitar Loft invites you to join our music community. St. Louis' best spot for lessons, gear, and instrument repair. 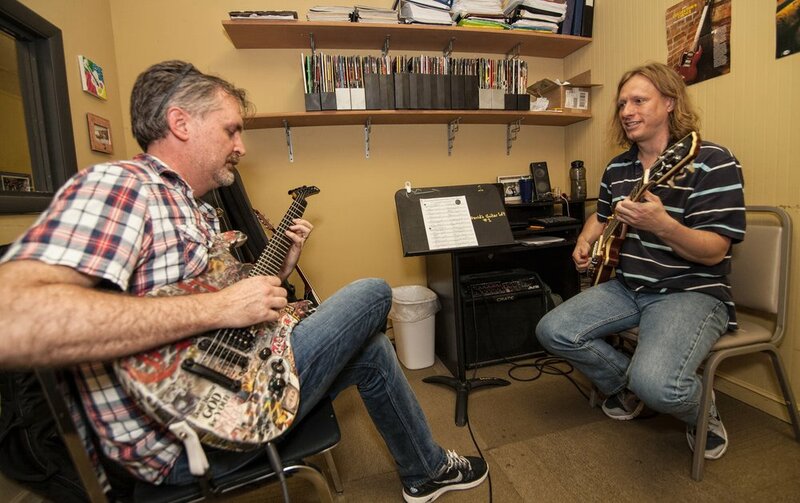 David's Guitar Loft is a full service music store specializing in group and private lessons for guitar, bass, drums, piano, voice and ukulele. We have a wide range of guitars, basses, drums, amps, effect pedals, electronics, and accessories. 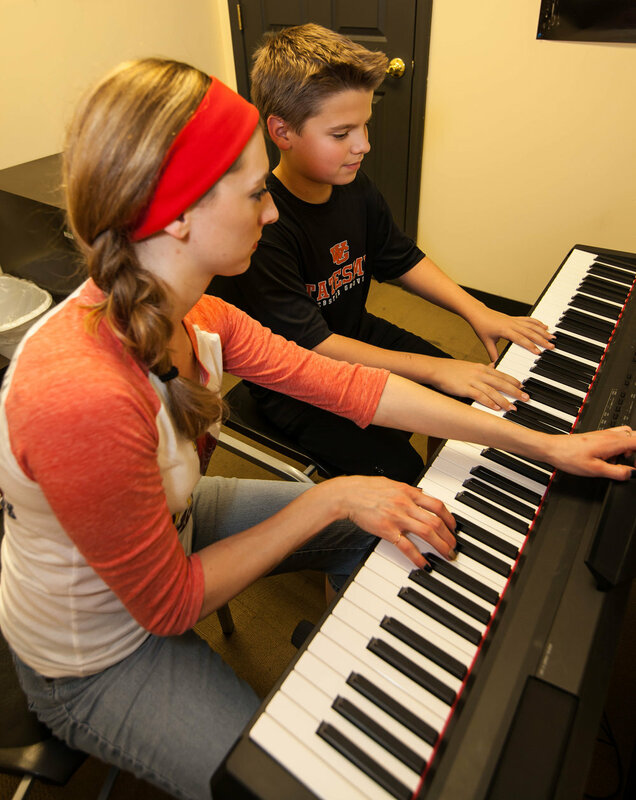 There's no better place in St. Louis to take guitar, bass, drum, piano, voice or ukulele lessons from beginning to intermediate and advanced students. We are excited to introduce Music Together® to our class offerings. Click the logo above for more information. We are happy to announce Greg Turner and Adam Hansbrough are once again taking students on a limited basis! Greg and Adam have both taught for DGL previously and call soon for lessons before they fill up! Music Together Spring semester starts Fiday, April 19 and runs for 8 weeks. There will be a demo class on Friday, April 12 and let us know if you would like to visit or sign up for the class. The Saturday Jam Sessions for students age 18 and under are back and will be held from 3-4:30pm. Please talk to your instructors about it and let us know if you would like to attend. Students, this is a good time to have your instrument serviced and set up. Practicing is much more enjoyable with a great playing instrument!